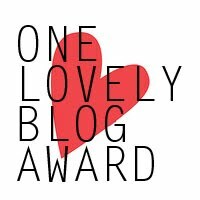 Life with Giggles: People in bloggy land actually love me! BAM, in your face! I got not one, but TWO awards from the lovely Shanny. 4. Let everyone know when you nominate them. 5. Make up 11 questions for them to answer. 6. Answer the questions that have been given to you. Since I just posted a random blog post, I am going to break the rule :::GASP::: and skip down to the questions Shanny has for me. 1- Do you have a phobia? What is it? 2- What came first, the chicken or the egg? 3- Describe yourself in 3 words. 4- Are you a night person or a morning person? Morning person. And this is why I take care of the dog in the morning when she wakes up at 6:30. Hubs does the night duty. 5- What is your favorite dessert? Flan... or Dominican cake... or wait, anything chocolate!!! Sorry but I just can't pick one. 6- Love at first sight, yay or nay? nay. Don't believe in love at first sight. 7- Which one would you choose: books, clothes, or gadgets? Neither, I would choose ebooks! hahaha... I know know... it is in the same category of books. I love my Nook. 8- What is your favorite hobby? 9- Where are you right now? Work, wanting these hours to go by fast since tomorrow is a holiday and I get to relax. 10- Why do you blog? Because it makes me happy when my funny posts makes someone out there who is having a bad day smile. 11- What is your favorite season? Now, since I am lazy and all, I am going to nominate a few bloggers and have you answer the same questions above. Shanny did a good job. I don't want to ruin it. Ha! Or you can break the the rules like I did and do what you want. I won't hold it against you. Enjoy ladies.... and if you haven't checked them out yet... they are must add ons to your reader! I don't think I could pick just one dessert either...but what is Dominican cake? Thanks so much girl! I will get on this ASAP!